Above is the question, One of our customer asked me last week and they wanted to do advanced find on cases and find out the cases which have activities (emails, phone, tasks, service activity etc…) created/modified in last 1 month. Now I first thought was this is not possible through standard advanced find because I thought you can do condition with multiple entities (email, task etc.) but there is no way we can do OR conditions for multiple entities in dynamics advanced find screen. But then realized that all activities are derived from the same base activity class, so we can use that and turn out there is already field called “Last Updated” (date field) on activity.. So turn out this is really simple advanced find as per following screen print. 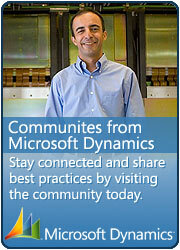 This entry was posted in CRM 4.0 and tagged Dynamics on April 9, 2010 by mayankp.